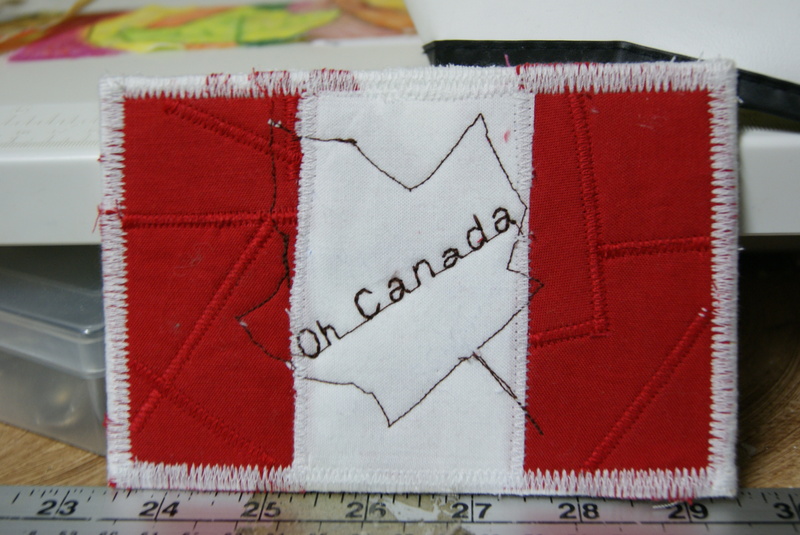 Happy Canada Day to all the Canadian bloggers out there. I was thinking about why I like Canada so much and here are a few items. and beautiful scenery. Sad how alot of what I mentioned revolves around food. Oh, I forgot the great fabric stores all across Canada as well. it was stolen in the mail. Someone was overly patriotic last year. cancer and her co-workers decided to make her a quilt. thread for the top and backing. A butterfly panto was used as well. that revolved around the butterfly theme. love the butterfly bra. I need to get one of these. it would stretch like crazy. one really bad spot anyways so it all worked out in the end. The recepient loved the quilt so that is all that really matters. on a few of my baby quilts. Have you ever worked with minky? Let me know what you think about it. polyester thread for the top and the backing. I think it turned out beautifully. The backing is gorgeous with all the texture from the quilting. I think the texture is what makes my heart flutter. Can you guess what animals these are? Guess who I saw last week? Thanks for posting to TN&TN! You’re work is beautiful, love the butterflies and quilting details..